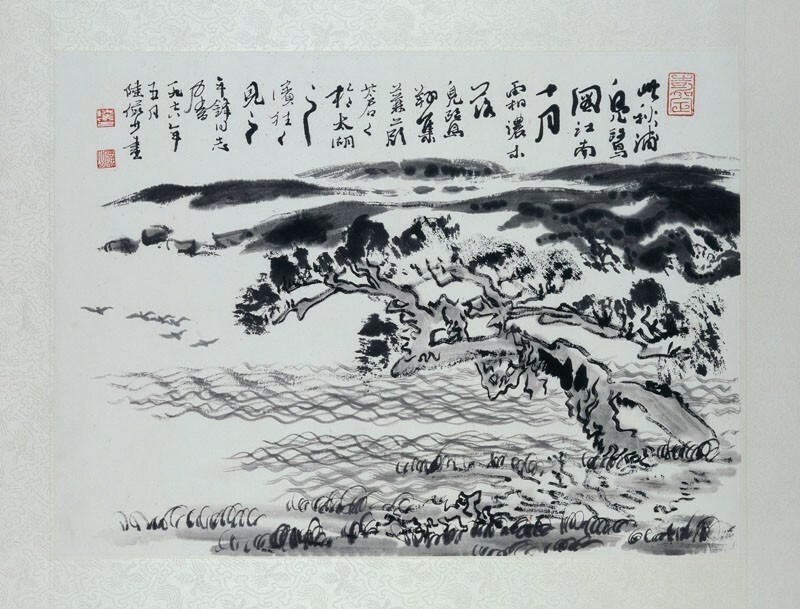 Lu Yanshao is credited with several innovative techniques in landscape painting, and the use of dark and pale wet ink together in the background of the present composition is an example. The restlessness that characterises his style is evident even in this simple album leaf. Lu Yanshao was from Jiading in Shanghai. He studied traditional painting and calligraphy in Wuxi Art College, Jiangsu province in 1927. 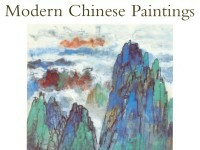 He was also an acquaintance of the artist and connoisseur Wu Hufan, with whom he travelled the country. After 1949 Lu Yanshao became a professional painter in Shanghai Academy of Fine Arts, and in 1979 taught in Zhejiang College of Fine Arts. He is credited with several innovative techniques in landscape painting, such as the use of dark and pale wet ink together, as seen in the background of this present composition.